We are a small, densely populated country with a long industrial heritage. In recent years, much heavy industry has closed. It has sometimes left behind a legacy of pollution. 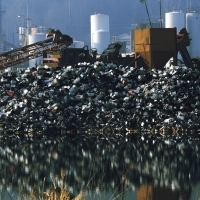 In 2005 it was estimated that up to 325,000 sites might be polluted as a result of former uses. As many as 33,500 sites could require some form of clean up. It is also possible that pollution could migrate from such contaminated sites to neighbouring land. For example, poorly engineered waste landfill sites might generate methane gas which can travel underground. It is even possible that some former industrial sites have been developed without proper attention being given to polluting materials that remain on the site. There are legal measures to deal with all of these problems under Part 2A of the Environmental Protection Act 1990 under the ‘contaminated land regime’. These pages explain who bears the responsibility for land based pollution and how they can be made to clean it up.